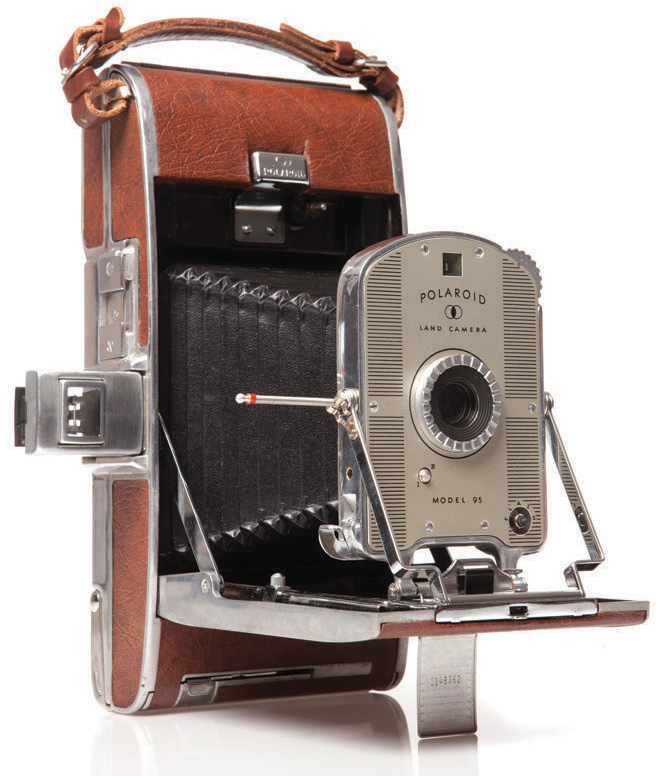 Just in time for the Christmas shopping season, 57 units of the first commercial instant camera, the Polaroid Land Camera Model 95, go on sale at the Jordan Marsh department store in Boston. 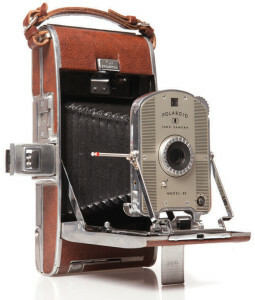 Producing sepia toned photographs in about one minute, the Model 95 became a hit almost as quickly. Polaroid believed that 57 units would be enough last through Christmas. All 57 units and all the film available were sold on the first day. It was simple to use, portable, and the instant gratification that came from the self-developing film made the camera very popular. The name “Land” came from the camera’s inventor, Edwin H. Land, who was also the company’s founder. Nearly one million Model 95’s were produced, setting the stage for Polaroid’s flagship product line, making the company’s name synonymous with instant film and the cameras that used them. True black-and-white instant film was released in 1950, but Polaroid didn’t create color film until 1963. Polaroid produced their instant film cameras until 2008.